Gregory J. Naclerio | Ruskin Moscou Faltischek, P.C. Is Your Management Agreement a Swan or a Duck? Gregory J. Naclerio represents hospitals and healthcare professionals in various administrative and regulatory matters, including Medicare/Medicaid investigations, private carrier audits and the defense of false claim cases. Services are also provided to physicians and other licensed professionals before the Office of Professional Medical Conduct and Office of Professional Discipline. A Martindale-Hubbell AV preeminent-rated of counsel at Ruskin Moscou Faltischek P.C. ; Gregory is a member of the Health Law Transactional, Health Law Regulatory Departments and White Collar Crime & Investigations Group. He is also a member of the Corporate Governance Practice Group. While previously serving as the director of the Long Island Regional Office of the Deputy Attorney General for Medicaid Fraud Control, he supervised all investigations and prosecutions of Medicaid providers and allegations of patient abuse on Long Island. He also represents commercial insurance carriers in the creation of Fraud Detection Units as well as compliance programs for hospitals. Consultations concerning the federal Anti-Kickback statute, the Stark Law, the New York State Referral Act and the Federal False Claims Act are also provided. 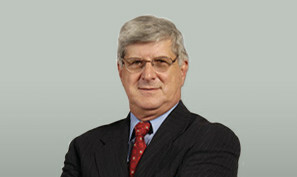 Gregory has been named Super Lawyer five years in a row, from 2011–2015. “There is No Such Thing as ‘Routine,’” New York State Bar Association Course Book, October 2005. “Representing Health Care Pros: Beyond Criminal Conviction, Outside Counsel,” The New York Law Journal, January 13, 2005. “No More Easy Money… Just Hard Time,” The Right Decision, Molloy College, Fall 2004. “Testifying in Court,” Association of Certified Fraud Examiners, Conference Materials, August 2004. “Regulation of Health Care Systems, New York State Bar Association,” Fundamentals of New York Health Law, May 2003. “Government Investigations,” CCH Healthcare Compliance Guide, Chapter 3, 1999. “Nursing Homes Soon to Become Targets of Federal and State Probes,” N.Y. Hospital & Health News, July 1999. “The ‘Midnight Raid’ and Other Governmental Investigative Techniques—A Compliance Action Plan,” CCH Healthcare Compliance Letter, April 1999. “What the Practitioner Needs to Know About Fraud and Abuse,” Suffolk County Bar Association, Conference Materials, May 1998. “Hospital Corporate Compliance Programs,” Health Care Fraud Litigation Reporter, 1997. “Healthcare Risk Management,” Guest Columnist, May 1997.